Today’s blog features a Q and A with Tiffany, the mother of Little Sister Kayla and Little Brother Dereon. 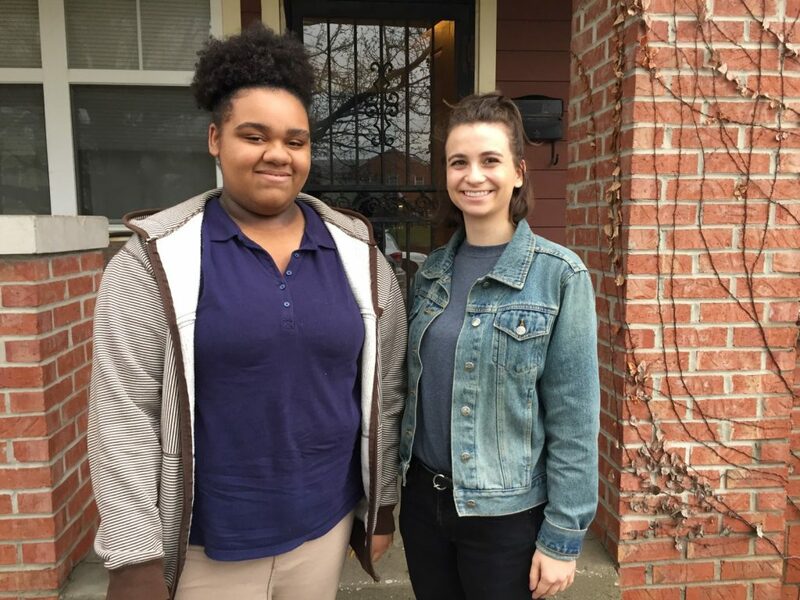 Kayla, 17, has been matched with Big Sister Bridget since April 2018. 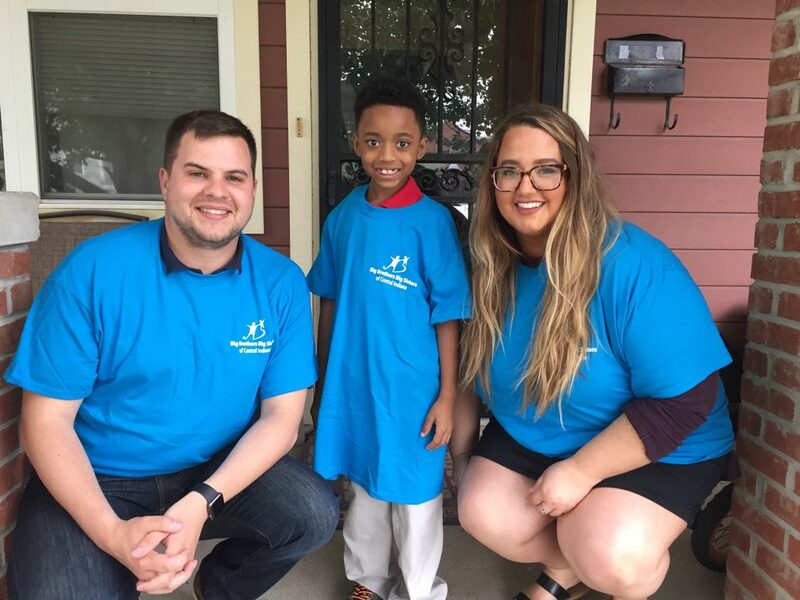 Dereon, 9, has been matched with Big Friends Nick Musselwhite and Paige Newman since May 2018. Tiffany answered some questions about her involvement with the BBBS program and why she loves having mentors for her kids! Question: Why did you sign Kayla and Dereon up for BBBS? Answer: Originally with Kayla, it was because she was really shy. I needed her to come out of her shell a little bit. She just wanted to stay at home all the time, and she never really wanted to go anywhere. I felt like she needed someone else to talk to because she never opened up about anything. That was my main thing for Kayla. Not exactly the same as Dereon. He’s very talkative. He talks too much! But he needed to have a positive male role model to guide him a little better than what he has. I can only do so much. I wanted to get somebody to assist with that. Also – so he could get a little bit of time away from us with new people. We are a very small family. It’s just my children, myself, my mom, and my brother. We’re always together so Kayla and Dereon get tired sometimes of seeing just us. They like to get out and do new things with other people now. Question: What has been your favorite memories of Kayla and Dereon being Littles? Has anything stood to you as being really memorable? Answer: With Dereon, he absolutely adores Paige and Nick. I love the connection that they have. With Kayla, it’s the same. That connection she has with Bridget. She’s older now and her and Bridget get along because they’re both silly. It’s someone they can relate to. They have a lot of interests that are very similar. We’ve been blessed with good people who have come in and volunteered and been good matches with them. Question: What changes have you seen in both Kayla and Dereon since they were matched with their Bigs? Have you noticed any impact? Question: You host family game nights with Kayla, Bridget, Dereon, Paige, and Nick – can you share a little more about that? Answer: We have that initial match introduction where we all meet each other. But I can be that really over protective parent and want to know who my kids are hanging out with, whether they’re adults or not. So it gives me that time and stuff to sit down and actually talk and get to know each other and laugh and have fun – without everything feeling so formal. We have a lot of fun. It just gives us time to relax and get to know each other. This last time my mother got to come, too, and it was a good time! Answer: I’m sure there’s plenty of people that wished more people would actually get involved and become a Big – especially the Big Brothers because there are some kids waiting for a Big. So more people should sign up to be Bigs. The program is absolutely wonderful. We haven’t had any problems – it’s been an extremely positive experience.